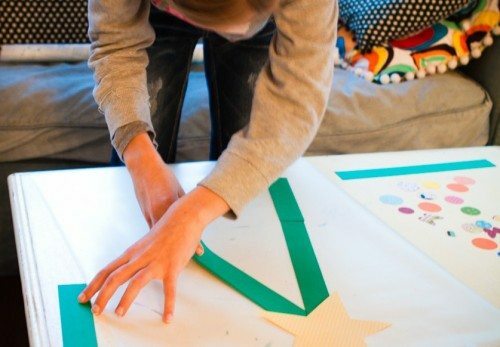 This craft today is easy for all ages. 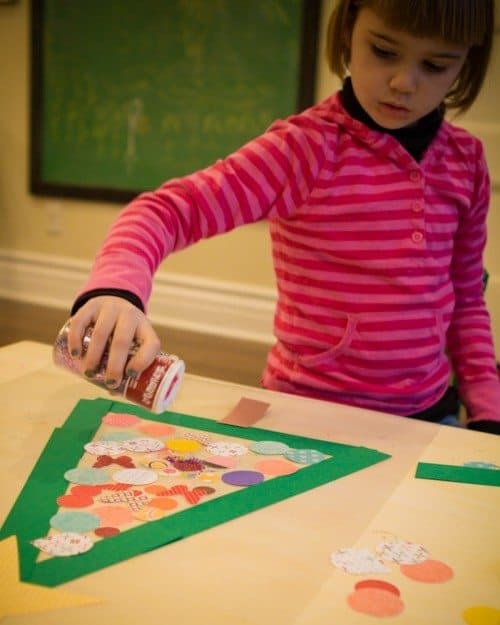 We love to try all kinds of crafts at our house using all kinds of supplies. This one uses clear contact paper instead of glue and can see through it. 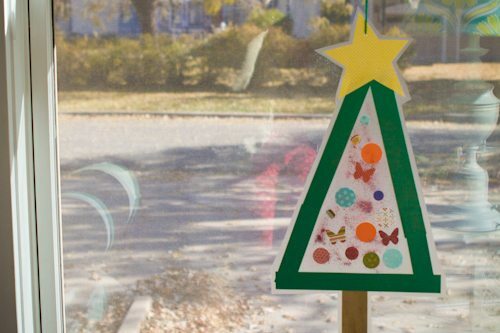 We made these Christmas tree sun catchers to bring some color into our drab winter days. 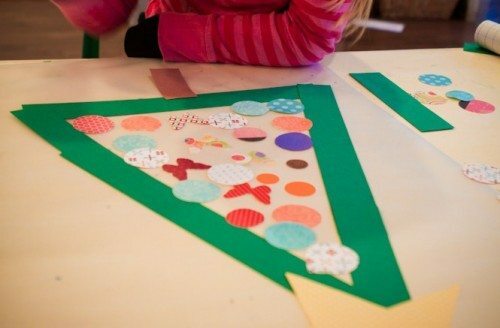 You can decorate your real tree and let the kids make their own trees! Any age can make this with minimal amount of help. The toughest part of this craft is peeling apart the contact paper. 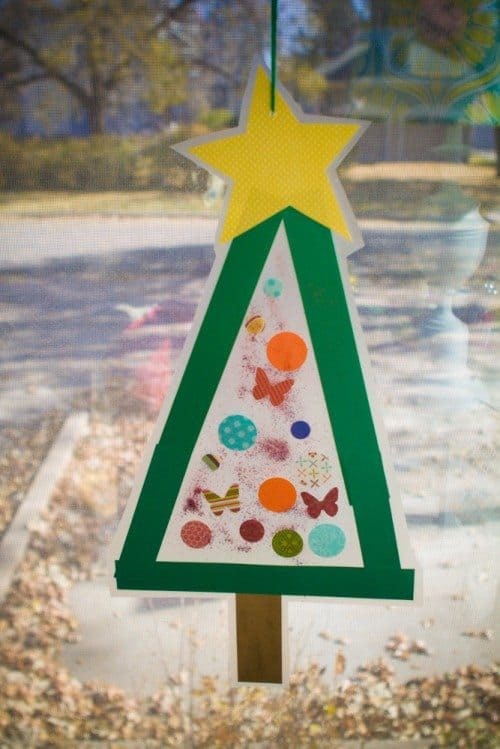 We started this craft by punching “ornaments” out of double sided scrapbook paper and construction paper. We used circle punches and a butterfly punch. 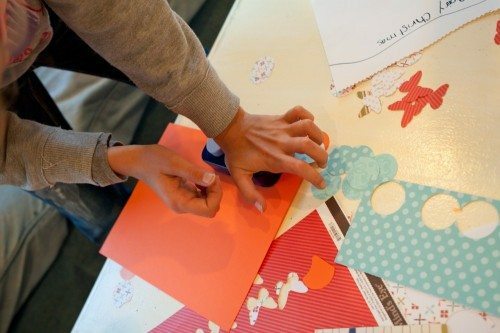 You could also use tissue paper cut into small squares for a pretty transparent look. 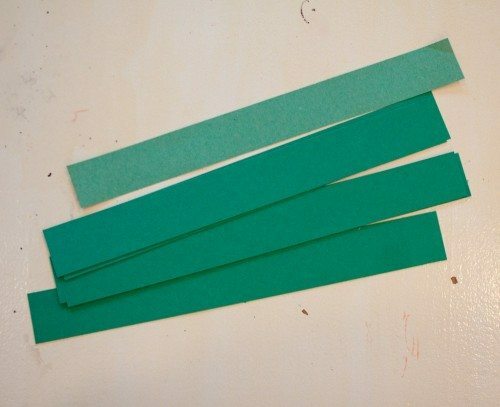 I used a paper cutter to cut our green construction paper into strips…1.5 – 2 inch strips. Then I laid out a sheet of clear contact paper at each work station…18 – 14 inches long. Once the backing is peeled off of contact paper it will lay flat. 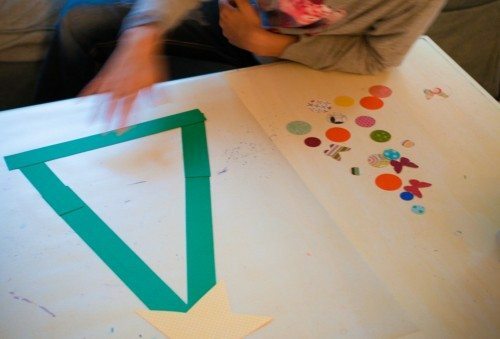 Put the sticky side UP and lay your green strips into a tree shape….a big open triangle. If your strips are too short for a tall tree then just add more strips and cut them to the size you wish. We cut a big star out of yellow scrapbook paper for the topper and a brown strip for the tree trunk. Lay those pieces on the tree where they look the best. The next step is to decorate your tree with ornaments. We added a little glitter…pour/shake very slowly because wherever it lands it is going to stick. 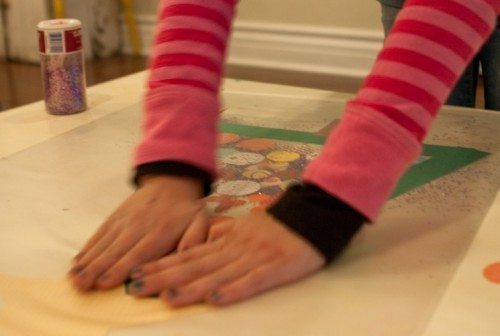 After the tree looks just how your child likes, peel the backing off another sheet of clear contact paper. Lay it on top of the tree with the sticky side DOWN this time and sandwich all the decorations and glitter in between. Smooth out all the air bubbles with your hands. Cut around the edges about 1/2 an inch outside the tree all around. Then punch a circle at the top for hanging. Tie yarn through the hole and hang it in your window for the world to enjoy. And watch the sun shine through your new Christmas Tree! Meg Duerksen is a regular contributor to our crafts section. A mother of five children, she writes daily at her personal blog Whatever. She loves to makes crafts with anyone! She is a family photographer in the summer and fall and a seamstress for her easy shop in the winter and spring. Her favorite indulgence is sneaking away to a flea market for the afternoon.